OPEN SUN 2-4. BEAUTIFULLY RENOVATED HOME SITUATED AT END OF QUIET CUL-DE-SAC. BRIGHT & SPACIOUS OPEN FLOOR PLAN WITH VAULTED CEILINGS & SKYLIGHTS. RENOVATED KITCHEN & DINING AREA W/GRANITE COUNTERTOPS, BREAKFAST BAR, PENDANT LIGHTING, NEWER STAINLESS STEEL APPLIANCES, LOTS OF CABINETRY, A PLANNING DESK AND CERAMIC TILE FLOORING. GLEAMING HARDWOOD FLOORS ON MAIN & LOWER LEVELS & NEW CARPET ON UPPER LEVEL & OFFICE. ARCHITECTURAL DETAILING W/CUSTOM MOLDINGS, FRENCH DOORS & BEAD-BOARD. RENOVATED BATHS. NEW HVAC, HOT WATER HEATER, WINDOWS, SKYLIGHTS & SLIDING GLASS DOORS. PROFESSIONALLY PAINTED INTERIOR. UPDATED LIGHTING & PLUMBING FIXTURES. FLAT FENCED-IN YARD W/LARGE DECK. BACKS TO TREES & COMMUNITY POOL. ALL YOU HAVE TO DO IS MOVE-IN! 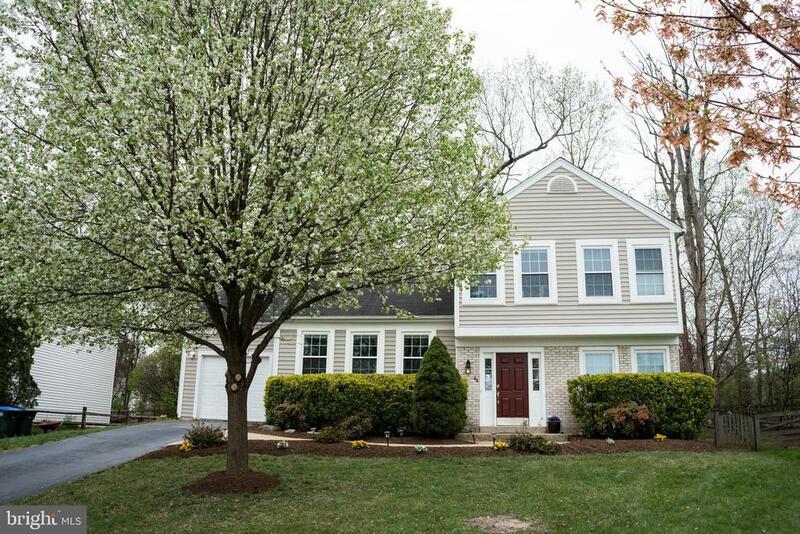 CONVENIENTLY LOCATED CLOSE TO SCHOOLS, DULLES TOWN CENTER AND EVERY SHOP & RESTAURANT THAT YOU CAN IMAGINE! THE COUNTRYSIDE COMMUNITY HAS 3 POOLS, TENNIS & BASKETBALL COURTS, 5 MILES OF WALKING & BIKE TRAILS AND A PRIVATE PARK WITH TRAILS THAT LEAD TO THE POTOMAC. Directions: From Route 7 West. Take Algonkian Pkwy/State Route 1582 exit toward Dulles Town Center; Right at fork to North Algonkian Pkwy; Right on Bentley Drive to 48 at end of cul-de-sac.